Fungible Inc. is a stealth start up, creating a hardware + software platform for data centers. The company is focused on developing fundamental technology for data centers at all scales and geographies to support “data centric” computing in an era when heterogeneous compute elements will become commonplace. The chip they’re creating is low latency, high throughput, and highly programmable. 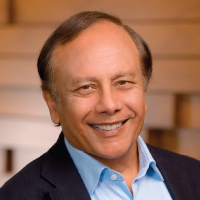 Founders (Pradeep Sindhu – Founder of Juniper Networks &amp; Bertrand Serlet – long-time lead for Software at Apple) have a track record leading and impacting the networking, silicon and software industries. Pradeep Sindhu co-founded Fungible Inc. with Bertrand Serlet in June 2015. He is currently the CEO at Fungible. Fungible is focused on developing fundamental technology for data centers at all scales and geographies to support “data centric” computing in an era when heterogeneous compute elements will become commonplace. Pradeep Sindhu founded Juniper Networks in February 1996, and has held several central roles in shaping the company over the years. He currently serves as Chief Scientist for Juniper, and is responsible for the company’s technical roadmap as well as day-to-day design and development of future products. He served as Chairman and Chief Executive Officer for eight months when he founded the company. During that time, he played a central role in the architecture, design, and development of the M40 router.